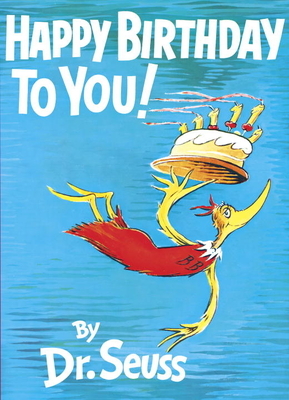 Celebrate your unique self with Dr. Seuss and the Great Birthday Bird in the ultimate birthday book! I wish we could do what they do in Katroo. In the picture book Happy Birthday to You!, Dr. Seuss has crafted the perfect celebration of the person you were born to be. When the Great Birthday Bird arrives to usher in your “Day of all Days,” you can expect a colorful romp full of fantastical fun that is all about YOU! With birthday festivities on every page, readers go on a journey that teaches them to celebrate being themselves—every single day of the year! This joyful classic rejoices about the things that make you unique! It’s the essential birthday gift for ages one to 101—from the one and only Dr. Seuss!